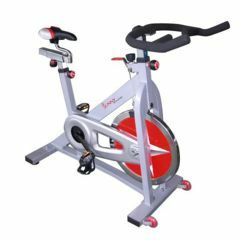 The Pro Indoor Cycling Bike features high quality adjustable resistance. The bike features a fully adjustable seat and handlebars for your comfort. The bike is very sturdy with a heavy duty crank and steel frame, yet the chain drive mechanism is smooth and quiet during your workouts.